The PAC in Milan explores foreign cultures through contemporary art, drawing for the 2016 a guideline on Cuban art, both inside and outside the island, incorporating artists from different generations active from the 1970s onwards. 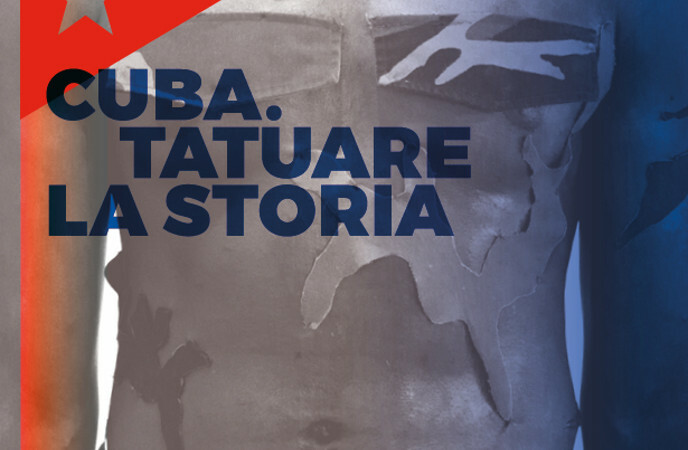 TATUARE LA STORIA (Tattooing History) means leaving a mark on a shared identity of Cuba, the metaphor itself for the meeting of cultures flowing into a Creole and tropical horizon, a “mirage” of an utopian but intrinsically contradictory world. Each artist at the PAC exhibition will be a part of the journey towards Cuba, with its magnificence and its difficulties, its sound and furore, its cultural, linguistic and mythical issues, its ideological differences. Starting from the historical performative nature of contemporary Cuban art, the exhibition will present a large selection of works and installations — some of them conceived for the PAC — of the most representative Cuban artists and the most up-and-coming artists of the new generation, a section dedicated to Lázaro Saavedra (National Prize of Plastic Arts 2014) and a tribute to the two most influential Cuban artists, Ana Mendieta and Felix Gonzalez-Torres. The exhibition will extend into MUDEC, the Museum of Cultures in Milan, with a site-specific installation by the artist Eduardo Ponjuán (National Prize of Plastic Arts 2013). Promoted by the City of Milan and produced by PAC Padiglione d’Arte Contemporanea and Silvana Editoriale, the exhibition is supported by TOD’S, the sponsor of the PAC’s exhibition activity, with the contribution of Alcantara and the support of Vulcano. After Milan, the exhibition will move to the Cantieri della Zisa in Palermo (ZAC) from 7 October to 18 December 2016, confirming the collaboration – begun in 2014 with the exhibition by Regina José Galindo – between the two cities and the two public exhibition spaces devoted to contemporary art. ARTISTS Juan Carlos Alom, Tania Bruguera, Maria Magdalena Campos-Pons, Javier Castro, Celia-Yunior, Colectivo Enema, Susana Pilar Delahante Matienzo, Ángel Delgado, Humberto DÍaz, Carlos Garaicoa, Luis Gárciga, Luis Gómez Armenteros, Antonio Gómez Margolles, Félix González-Torres, Grupo Arte Calle, Ricardo Miguel Hernández, Tony Labat, Reynier Leyva Novo, Ernesto Leal, Los Carpinteros, Meira Marrero & José Toirac, Carlos Martiel, Ana Mendieta, Reinier Nande, Glexis Novoa, Marta MarÍa Pérez Bravo, Eduardo Ponjuán, Wilfredo Prieto, Grethell Rasúa, René Francisco Rodriguez, Lázaro Saavedra, Tonel.